Discussion in 'Portable Source Gear' started by paul - ibasso, Dec 17, 2015. 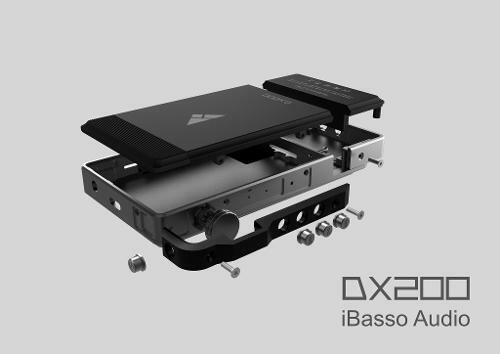 The DX200 has been designed from the ground up. Interchangeable amps, a CNC case and the finest components. Retail price $869.00. Micro SD cards tested with the DX200 up to and including the Sandisk 400gb. No issues found. A burn-in cable is supplied with the DX200. When using this please use a volume setting of around 90 to 110 or lower. Also if you are charging from a depleted battery while using the burn in cable or headphones please note that the temperature of the DX200 will go up. The charging circuit and the audio circuit are both dissipating heat. 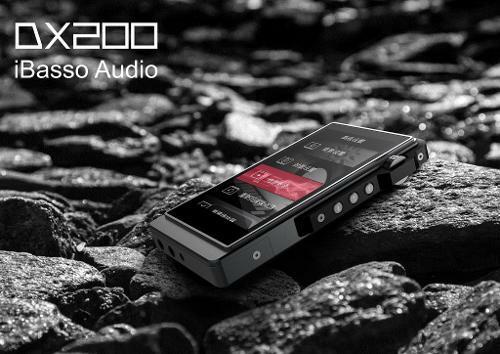 Allow for air circulation around the DX200 and and if the temperature of the DX200 seems hot, discontinue the burning in or charging. Excessive heat is never good for most electronics. A Top of the Line DAP that doesn't break the bank! AMP2 TRS single ended phone and line out. AMP3 2.5 TRRS balanced phone and line out. AMP4 4.4 TRRRS balanced phone out. AMP5 3.5 TRS Single ended phone and line out. AMP3 a balanced high voltage high current amp. AMP4 uses a 4.4 TRRRS socket and is a dedicated balanced amp. When downloading the firmware update zip file please unzip this file and then use the new zip file for the update. Do not use the original zip file for the update but use the new zip file. The zip file is placed directly on an SD card. The initial downloaded zip file must be unzipped. There are directions in the folder created once the downloaded firmware is unzipped. 2. Type C USB connector (C connector USB2). 5. The DAC chip is the ES9028pro with one for each channel! Link for the Batch Tool to be used with the DX200. Directions for the installation the first time are not hard but must be followed for the BT to work. A Windows based computer has to be used. This can be on Mac if you have Parallels or a program that allows Windows on your Mac. If a file is in a .rar you will need to download an app to open the .rar. The instructions for the use of the BT are included with the download. The BT wipes the internal memory and does a clean install of the FW. This can be handy at times when other methods of a FW update fail or if there are problems that a normal FW update does not solve. Finally I'm able to update the firmware, with generous help from another headfi member tkteo (thanks a lot!). (b) If you are unable to unzip the file using windows default unzip or 7-zip, then no need to proceed already, it means the downloaded file has problem. I tried to download at least 4 times and all failed to unzip, which led to failure to update software eventually. (c) If able to unzip, then can proceed, you will see a folder, inside have a readme.txt and another zipped file (file name ending with ota.zip), this zipped file no need to unzip, leave it there. (a) Make sure the SD card was formatted in FAT32 or exFAT before you copy. (b) On DX200, go to setting -> About DX200 -> System updates -> Local update -> locate the ota.zip then click update, the update will start if verified successful (i kept failing here yesterday). (c) if the update started, remember do not power off or interrupt the update until it reboot automatically and completed. Paste the tidal url and click Generate Download link then download it. Now you have tidal APK. Now to your DX200, go to setting > Security > Unknown sources turn it on. The latest Firmware updates. Just click to link. AMP2 specifications: Power output per channel. THD+N：0.00056%,-105dB (32Ω@1.8Vrms), -115dB @3.2V without load. Some of our current products: DX200, DX150, DX120, P5, IT01, IT01s, IT03, IT04 UIEM, SR1, and more. EggofSound, xza23, HungryPanda and 10 others like this. Ok wow im impressed paul. Any specs on this yet? OMG. So hyped waiting for its spec. The design makes me cry with excitement. Deftone and Anwer like this. I got the DX100 when it first released many years ago, good SQ but junk UI. Hopefully the DX200 will have both good UI and SQ. + a user replaceable battery and it it looks like it has, hopefully. Well, designs 1 and 3 do. + a user replaceable battery and it it looks like it has, hopefully. Well designs 1 and 3 do. It does look like it might have a replaceable battery, but if it lasts at least as long as the DX80 its not a deal breaker for me. 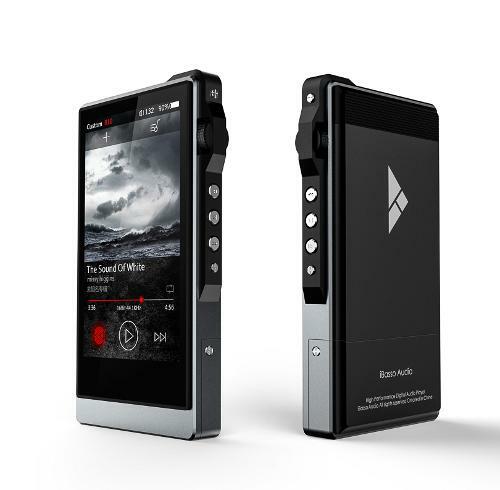 Love the 3rd one,has to have streaming capabilities,plenty of power and digital outputs,picked up a mint DX100 a few weeks ago and love the sound and build. Why on earth the ak copy??? Great news! My favorite one is second one. Second one for me. Looks to have more depths by the arrangement and the color scheme looks more premium and solid among the three.